Robert Wilkie testifies during a Senate Veterans Affairs Committee nominations hearing on Capitol Hill in Washington, on June 27, 2018. Wilkie was seen as a safe pick, and VA secretaries have traditionally gotten unanimous approval in the Senate as a sign of bipartisan cooperation on veterans issues. For the first time though, eight Democrats and one Independent — Bernie Sanders — voted no. Sanders said he wasn't opposed to Wilkie in particular, but is against what he says are Trump administration moves to turn VA healthcare over to the private sector. Wilkie is a Navy vet, a current member of the Air Force reserves, and the son of a severely wounded Vietnam combat veteran. He has decades of experience in Washington working for conservative congressmen and in the Pentagon. Wilkie served briefly as acting VA secretary when Shulkin was fired. The Senate Veterans Affairs Committee gave Wilkie a fairly smooth hearing, though several democratic senators extracted what has become a standard promise: that Wilkie vowed to oppose efforts to privatize VA health care. The VA leans on the private sector already — former Secretary Shulkin increased that so about one-third of medical appointments done in the private sector are reimbursed by VA. That apparently wasn't enough though, according to Shulkin, who says he was pushed out by White House political appointees who thought he was dragging his feet. With Shulkin's firing began a stream of high profile departures and what some Democrats in Congress feared was a political purge of the department. At a recent House hearing, Acting Secretary Peter O'Rourke testified that many officials were leaving because they were not in line with the Trump administration's "historic, transformative changes" that "are going to change the status quo." O'Rourke previously led the administration's Office of Accountability and Whistleblower Protection, which was set up to help clean house, with mixed results so far. Besides the intra-office intrigue, Wilkie inherits a VA that is undertaking ambitious changes in the next year – including a major revamp of the way private care is paid for, a realignment of the VA's aging infrastructure, and an expansion of a caregiver program for disabled vets — all part of the recently passed VA Mission act, which Congress is now fighting about how to fund. No less consequential, the department is also taking on new electronic medical record. All while facing a staffing shortage and unprecedented demand from aging Vietnam vets as well as recent veterans of the wars in Iraq and Afghanistan. His work is cut out for him. 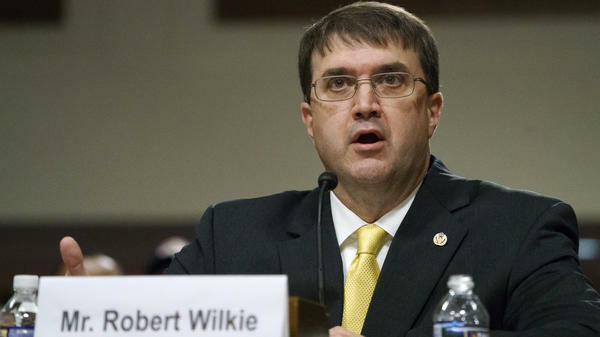 The Senate has confirmed Robert Wilkie to be the next Secretary of Veterans Affairs. JAMES LANKFORD: On this vote, the yeas are 86. The nays are nine. The confirmation is confirmed. SHAPIRO: The vote was unusual because it was not unanimous. Some Democrats and an independent, Bernie Sanders, opposed his confirmation. Sanders says his vote was a protest against privatizing veterans' health care. The VA has a big job taking care of the nation's 20 million veterans. It's the second-largest department in the federal government behind the department of defense. Senators from both sides of the aisle are hoping that Wilkie's confirmation will settle a leadership struggle that's been playing out all year at the department. 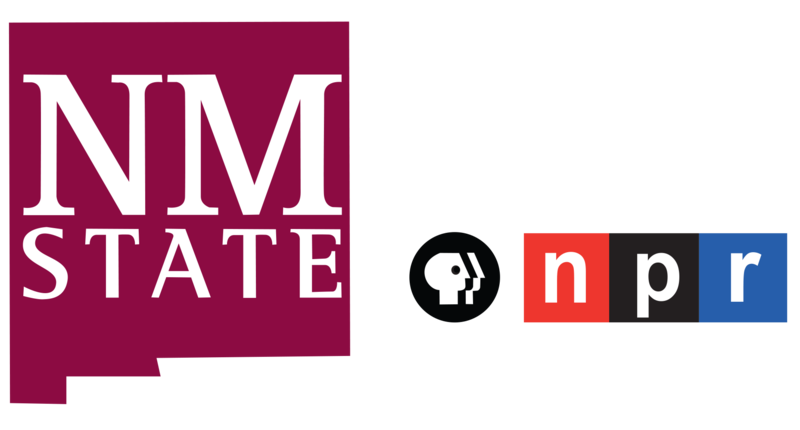 Here to tell us more is NPR veterans correspondent Quil Lawrence. Hi, Quil. QUIL LAWRENCE, BYLINE: Hi, Ari. SHAPIRO: It's been a really tumultuous time at the VA. Tell us about Robert Wilkie, president's choice to lead the organization. LAWRENCE: Right. Like you say, the leadership at the VA's been sort of unclear almost since January. The previous secretary was fired by tweet. And the president's first choice to fill that post, Ronny Jackson, collapsed under allegations of misconduct. So Robert Wilkie seems like a safer pick. He's a military veteran, and he's also a Washington veteran. He's worked for Republican lawmakers and at the Pentagon. He's been confirmed by the Senate before. And the Republican chair of the Veterans Committee was in fact kind of pushing to get him confirmed quick apparently to settle this internal fight over leadership at VA.
SHAPIRO: You've been reporting on this internal fight. Bring us up to speed on what's happening. LAWRENCE: Yeah. So as you know, Shulkin was the previous secretary. David Shulkin was pushed out in March after weeks of open conflict with other White House appointees. Now, the current acting secretary, Peter O'Rourke, was sort of part of that conflict. And since then, he's clashed with the inspector general over handling whistleblower information. There's been an exodus of senior staff. Other career officials have been transferred away to less important jobs. Some people have talked about an atmosphere obsessed with loyalty to the president, not just to the VA's mission. SHAPIRO: And how does Robert Wilkie fit into that? LAWRENCE: We're going to find out. But we'll see whether his staffing choices are sort of in line with these other appointees from the White House, or is he able to overrule them? It's worth knowing this isn't a - sort of a Republican-versus-Democrats thing. Many of the high-profile departures were Republicans. It's more a fight over which direction the VA is going. And we'll also see how soon-to-be Secretary Wilkie - how Secretary Wilkie implements a bunch of reforms that have already been passed by Congress, some of which are related to the way VA pays for private care. SHAPIRO: This debate over private care has been bubbling at the VA for years now. Are we talking about privatization here? LAWRENCE: Yeah. The VA's always or for many years has paid for vets to see private doctors. And under the previous VA secretary - David Shulkin increased that to about 30 percent of appointments. But he said when he was fired that that wasn't enough. He said he was pushed out for resisting an ideological push to hand VA health care entirely over to the private sector. Now, incoming secretary Wilkie has promised in hearings that he's against privatization. Most vets oppose privatization. But there's a budget fight coming up at the VA to fund reforms, and we're going to have to watch how Wilkie handles that to get an idea where he's leading the department. SHAPIRO: NPR's Quil Lawrence - thanks, Quil. LAWRENCE: Thank you, Ari. Transcript provided by NPR, Copyright NPR.